Air Atomising Nozzles are twin fluid type spray nozzles, usually using compressed air and a liquid to create an atomised droplet. Available spray patterns within this range include flat fan, full cone and hollow cone. 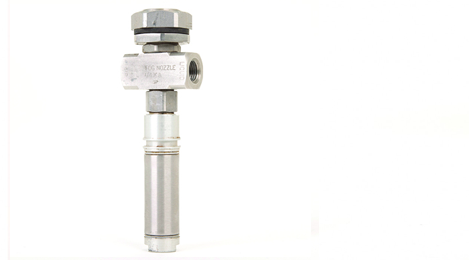 The nozzles are available in pressure design or gravity fed. 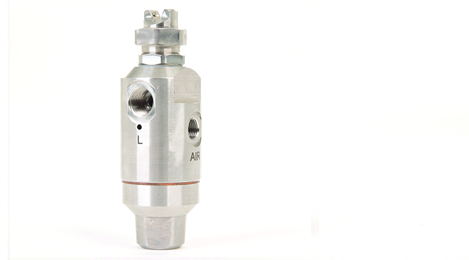 The air atomising nozzle is suitable for spraying viscous liquids due to the shearing of the liquid by means of compressed air. Air atomising nozzles are popular on continuous production lines where coating or moistening of a product is required on a repeatable basis. 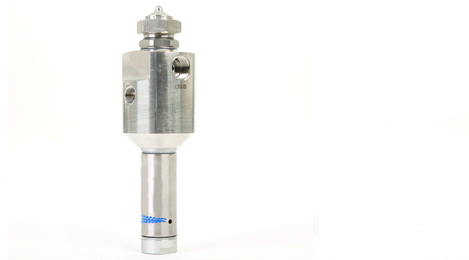 This is achieved using automatic clean out needles and shut off valves built into the nozzle design, this ensures that nozzle maintenance is kept to minimum. Use nozzle strainer or in line filters to reduce nozzle blockage. 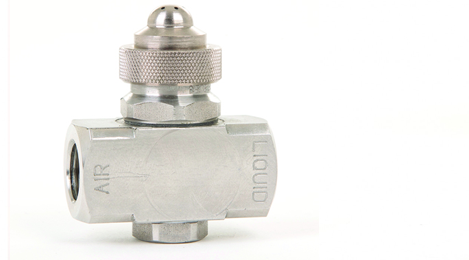 Use split eyelet connectors on both the air and fluid lines for easy nozzle connection. For optimal control of your air atomising spray system, the use of a Sealpump Control Package helps conserve liquid usage and reduces waste by monitoring and automatically adjusting spray coverage flow rate, droplet size, liquid and air atomising pressures. When spraying viscous liquids use a heated Sealpump material pressure tank to keep viscous liquids warm and transferable. Use air atomising nozzles with clean-out needles to eliminate clogging and ensure optimum performance.